The crown jewel of Southwest Florida, Naples is a charming city perched on the sun kissed beaches of the Gulf Coast. A vacation to Naples allows guests to enjoy a refined lifestyle centered around the areas natural beauty. 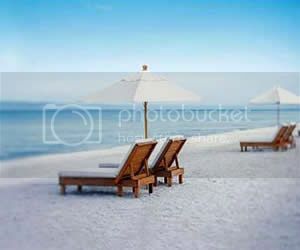 Beachfront Hotels in Naples include well known national names, upscale beach resorts, and a few locally owned inns. Although Naples is known for it’s world class shopping, coastal inspired dining, and an abundance of top Florida golf, it’s the beaches and water based attractions and activities that make this truly a magical destination. Nature lovers will be overwhelmed with not only the majestic beauty of the beaches and it’s wildlife, they will also be captivated with the near by untamed Florida Everglades. No matter your definition of the perfect Florida vacation, Naples is sure to rank high with the entire family. Plan your get away today at one of the top beachfront hotels listed below. Positioned on three miles of extraordinary AAA Four Diamond beachfront property on Marco Island in Naples, this is not your typical Marriott. Marco Island Resort and Spa is an exclusive luxury hotel that provides a Balinese sense of harmony in a tranquil island environment. Providing spacious beachfront accommodations and upscale amenities that include a expansive pools, private championship golf course, lavish spa, state of the art fitness center, and exquisite on-site dining choices this Marco Island Hotel is the ideal escape for your next Florida vacation. One of the finest beachfront resorts in Florida, LaPlaya gracefully sits between the Gulf of Mexico and Vanderbilt Bay. This unique location offers guests a rare opportunity to experience South Florida's subtropical beauty, up close and personal. It's easy to feel at home with the comfortable contemporary lifestyle and easy going attitude encompassing the resort. With an ever growing list of awards and accolades, the LaPlaya Beach and Golf Resort is sure to guide even the most sophisticated travelers into state of total relaxation. To round out your relaxing getaway, be sure to plan a visit to the lavish on-site SpaTerre! Situated directly on the beach, this all suite Naples Florida hotel offers guests an opportunity to be transported to world of laid back, barefoot luxury. Being minutes from the heart of Old Naples yet still perched beachfront offers guests a prime location paired with unsurpassed sophistication and amenities. 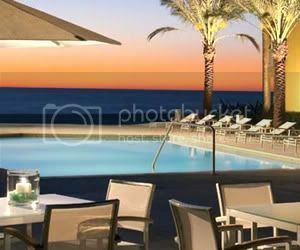 Throw in a renowned attention to detail and attentive customer service and hostpitality, travelers looking for the best of the best in Naples need look no further than the Edgewater Beach Hotel by Waldorf Astoria, where indoor meets outdoor in a chic yet casual beachfront environment.